Get your startup to the next level. At Merck, we want to make a lasting improvement in the way people live. This is why we help promising startups in the fields of healthcare, life science, and performance materials to become ready for the market. We see startups as partners that shape the future together with us. Our Accelerator Program promotes startups in the early stages and takes place at our headquarters in Darmstadt, Germany. 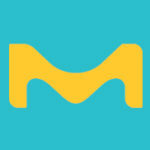 Merck is a leading science and technology company in healthcare, life science, and performance materials. Around 50,000 employees work to further develop technologies that improve and enhance life – from biopharmaceutical therapies to treat cancer or multiple sclerosis, cutting-edge systems for scientific research and production, to liquid crystals for smartphones and LCD televisions. In 2017, Merck generated sales of € 15.3 billion in 66 countries. Founded in 1668, Merck is the world’s oldest pharmaceutical and chemical company. The founding family remains the majority owner of the publicly listed corporate group. Merck holds the global rights to the Merck name and brand. The only exceptions are the United States and Canada, where the company operates as EMD Serono, MilliporeSigma, and EMD Performance Materials.